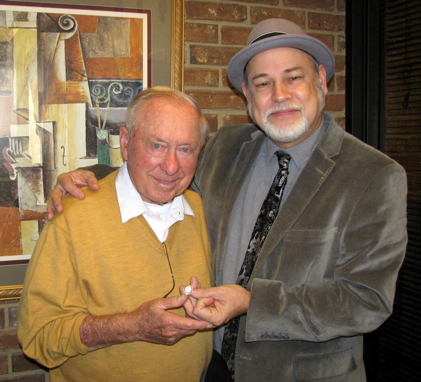 World-renowned arranger, conductor, and music director Bill Walker was recently presented with the 50 Years of Service To The Industry pin by the Nashville Musicians Association (American Federation of Music). Walker’s extensive body of work includes music director residency on various television shows, including The Johnny Cash Show (1969-1971) on ABC, the CMA Awards (for 15 years), the Music City News Awards, Music Hall America (Syndicated), The Statler Brothers Show on TNN (1991-1998) and numerous other prime-time television specials. He is recognized for his work in movies, and produced or arranged some of the biggest hits in Country music history.